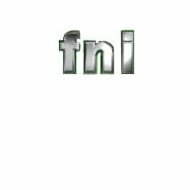 A review of First National Health Insurance Company leads to First National Insurance an independent insurance agency based in Minnesota. First National has contracted with over 200 insurance carriers in order to provide clients with the most choices for the most affordable prices. Since they have contracted with so many companies, they can find a policy that works for just about anyone. First National was established in 1919 to sell auto insurance to those who had trouble affording quality insurance. Even though the company works with over 200 insurance carriers, there are only three agents that run First National Insurance. They have combined experience of over 65 years helping individuals and businesses find the insurance that they need. Every year independent rating company A.M. Best rates First National. A.M. Best rates insurance companies based on their financial security when comparing policies verses assets. The more assets that remain when claim totals are subtracted, the higher the rating will be. This means that a company could pay all its policies at one time and still have a viable company left. First National consistently receives an A rating which is an excellent rating. A few years ago, First National added an aspect to their website called the Information Page. This page is meant to inform customers of insurance changes as well as ways they can be safe and secure on the road and in their homes. Informing customers in how they can take preventative measures, lowers the rate of claims that are filed. Personal products offered by First National are not uniform packages. Each policy is customized to fit the needs of the individual. With over 200 companies to choose from, First National agents can look at many different policies before choosing the right one. They take into consideration the coverage you need, the budget you have, and then try to match the policy with the budget. Automobile insurance with First National is customized to meet the requirements of the state the policyholder lives in. Each state has a different requirement from the law concerning how much and what type of auto insurance should be carried. Personal liability and property damage are basic coverage requirements along with uninsured driver coverage, in most states. However, if you have a loan out on your vehicle, you may need additional coverage as well. Home insurance from First National covers property damage as well as personal liability. It is available for mobile homes, manufactured homes, luxury homes, and starter homes. Recreational vehicle coverage is different from automobile coverage. This is especially true if you spend more than six months of the year traveling in your RV. First National has the right kind of coverage for your RV. Life and health insurance from First National is available from the most basic of coverage to extended coverage options. Both life and health insurance policies are based on family size, income, career, health condition, and other factors. First National can customize a plan that fits both budget and lifestyle. Policies are available for small and medium sized businesses with anywhere from 10 to 200 employees. Policies for large businesses are taken on a case-by-case basis. When applying for business insurance, agents at First National will look at all of your company details and employee needs then customize a proposal. The proposal is presented in a form that is easy to share with executives or board members as well as employees. After purchasing a policy, agents help employees and businesses owners to understand what coverage is available and how to use the coverage in the best way possible.